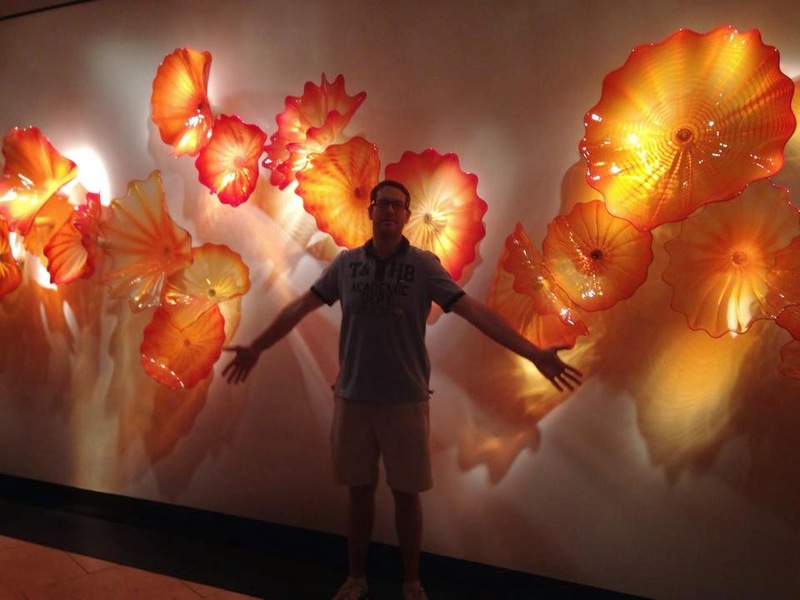 We both had the day off yesterday, so we went to St. Pete to check out the Chihuly Collection (we bought a deal on LivingSocial that gave us 2 tickets for $15 – you can buy them here.) We had originally planned to grab breakfast before at Central Coffee Shoppe, but a sign taped to their door said that they are closed Monday through Wednesday this week. The interior is cozy and inviting with eclectic art and furnishings. Inspirational quotes are scattered throughout with sayings like “Don’t look back – you’re not going that way.” The counter is made of a beautiful patchwork of different woods. 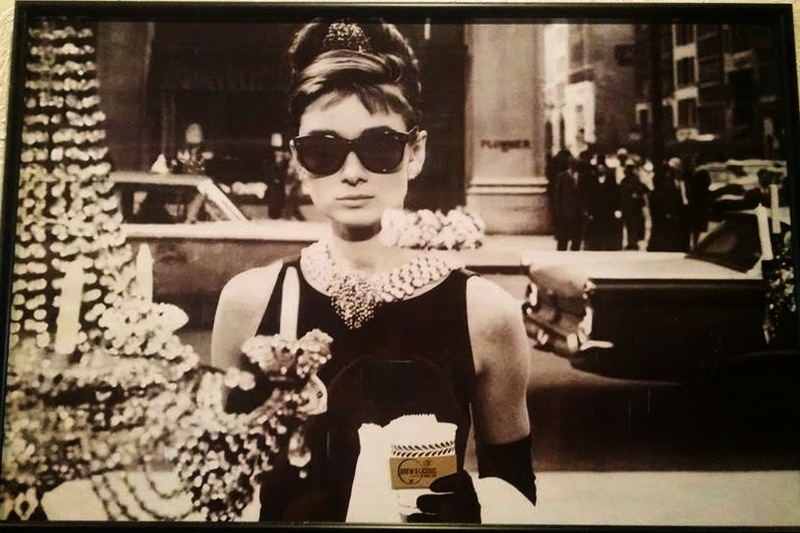 A print of the famous photo of Audrey Hepburn from Breakfast at Tiffany’s has been tweaked to add a cup of Brew D Licious coffee in her hand. The owner, Brigitte, is very knowledgeable about her coffees. I got an iced mocha which was fantastic. And when Lance requested a few ice cubes to cool down his extra hot coffee, she offered him coffee cubes to keep it from getting diluted. I had a ginger & lemon glazed carrot cake muffin – it was nice and moist with coconut, walnuts, pineapple, raisins, and applesauce baked in. A company called The Hole Donuts sells donuts at Brew D Licious on Wednesdays. Lance had an “Elvis” donut – peanut butter filled topped with a peanut butter glaze, sliced bananas, and crumbled bacon. Probably the best donut I’ve had in my life. After our sweet treats and coffees, we visited the Chilhuly Collection. 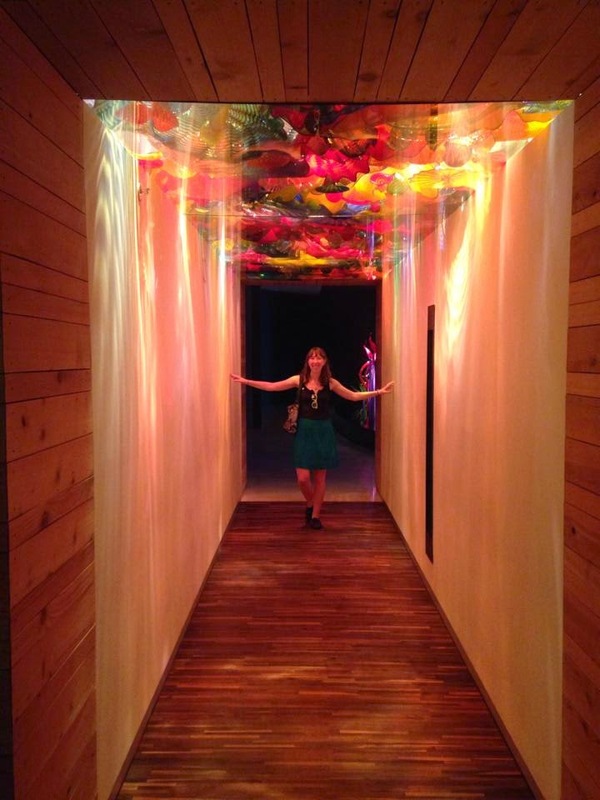 I had been a few years back when it first opened, but this time they actually allowed us to take photos! 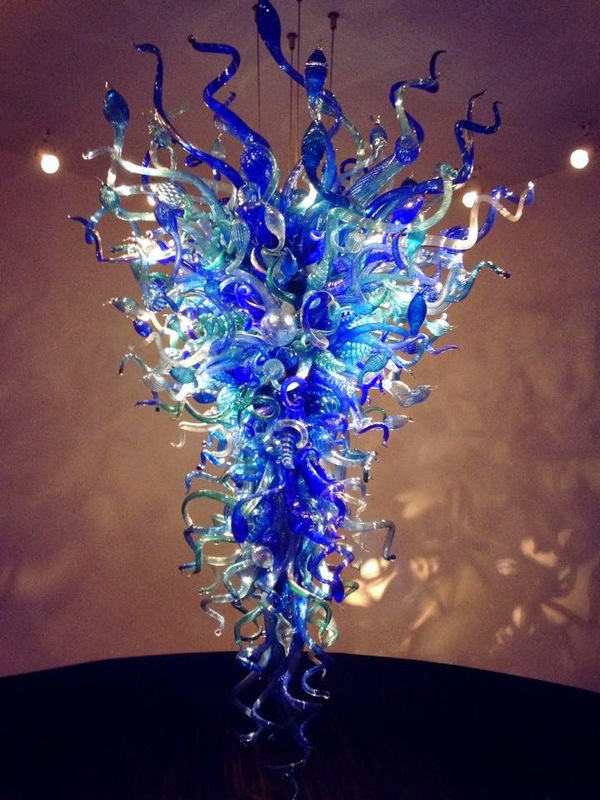 It’s not a huge museum, but the pieces are beautiful and definitely worth seeing in person. Brew D Licious is located at 667 Central Ave, Saint Petersburg, FL 33701 and is open 7am – 4pm Monday through Friday, 9am – 4pm Saturday, and 9am – 1pm Sunday. 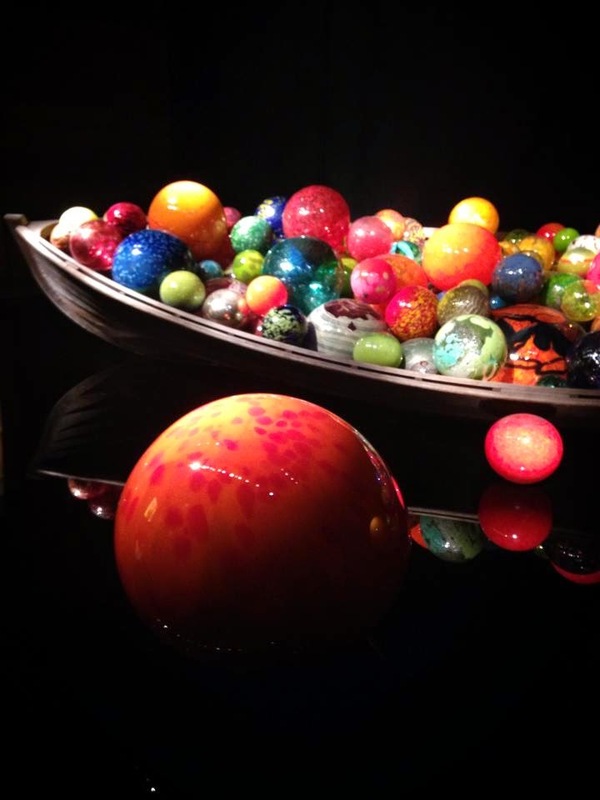 The Chihuly Collection is located at 400 Beach Dr NE, St Petersburg, FL 33701 and is open 10 – 5pm Monday through Saturday and 12 – 5pm on Sunday.